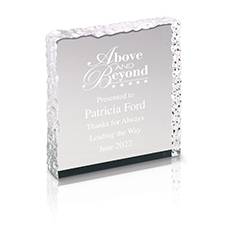 Add this unique option to your company's standard award ideas. 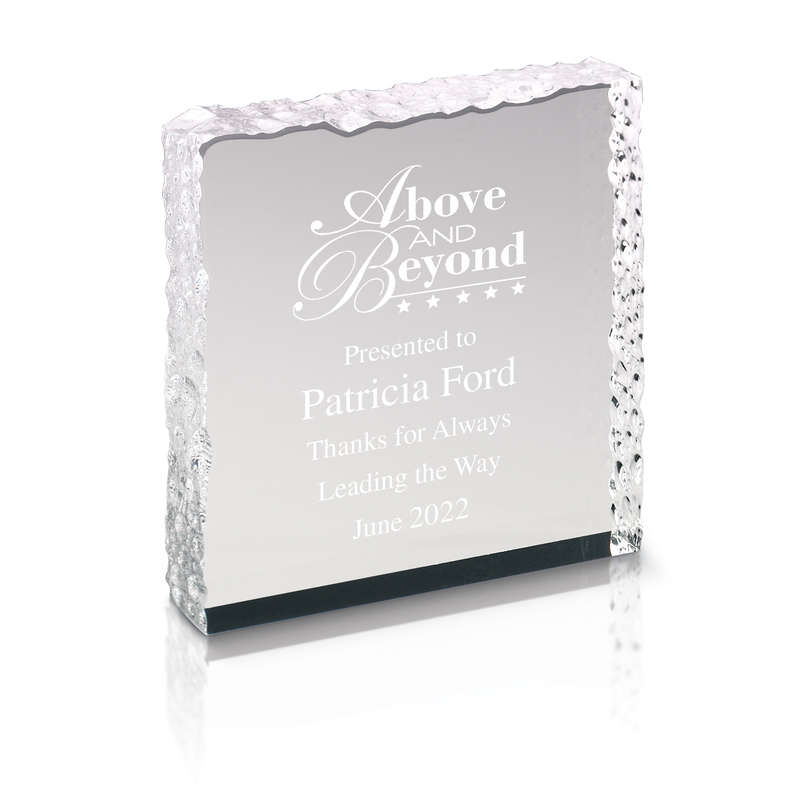 Looking like it was etched from a block of solid ice, this creative acrylic award offers a unique way to recognize your employee's dedication. Size: 3 1/8" x 3 1/8"